Cooking shrimp on the grill is both fast and festive. Nothing says special to your friends and family like a grilled shrimp dinner. Shrimp is out of the ordinary and a treat on the grill but it also is so easy and quick to prepare on the grill it becomes the perfect choice for outdoor entertaining. Here are a few tips to get the best flavor and freshness when grilling with shrimp. 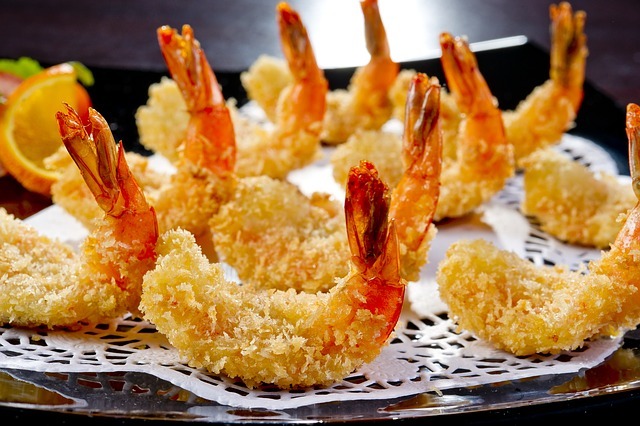 If it is not possible to purchase fresh shrimp right from the sea opt for same day thawed shrimp from your grocery. You can also purchase quick frozen shrimp in a bag, thaw what you need and return the rest to the freezer. Shrimp is extremely perishable so always opt for the freshest seafood possible and do no settle for shrimp that has been stored in your grocers refrigerator for a few days. Purchase medium to large sized shrimp, those 30 or less to a pound for the best flavor and stability for grilling. The kinds of shrimp available varies by location where you live. If you can purchase shrimp from the Gulf of Mexico, and Mexican white shrimp and Alaskan spotted prawns if available. Stay away from shrimp imported from Vietnam and other Asian countries as contamination is more likely. If you have the time purchase unpeeled shrimp, for the freshest taste, and peel right before grilling. Yes, they are more work but well worth the effort for the taste and freshness. Peel the shrimp right before grilling. Do not cook them in their shells unless you are steaming them as they dry out and do not cook evenly. The flavor of peeled shrimp is more concentrated and texture is great. They will not be as plump as steamed shrimp but the flavor is much richer so they are well worth peeling prior to grilling. It is easy to tell when the shrimp are done on the grill. They will no longer be translucent but a pink white all over and look very firm. You can turn and move the shrimp with a spatula flipping them once for even grilling. As soon as they turn the all over pink white color remove them from the grill and they are ready to enjoy. When grilling shrimp for a crowd cook a manageable number at a time. You can grill them in batches as they grill quickly and that way they will be evenly grilled and ready to serve. There is no need to crowd and cook large amounts at a time. Your sturdy spatula quickly turns them and takes them off the grill and you are ready for the next batch. As you can easily tell shrimp is the perfect choice for the grill. Enjoy some on your next cookout and you will be hooked on grilling sea food for your friends and family. Thehomester.com is a participant in the Amazon Services LLC Associates Program, an affiliate advertising program designed to provide a means for sites to earn advertising fees by advertising and linking to Amazon.